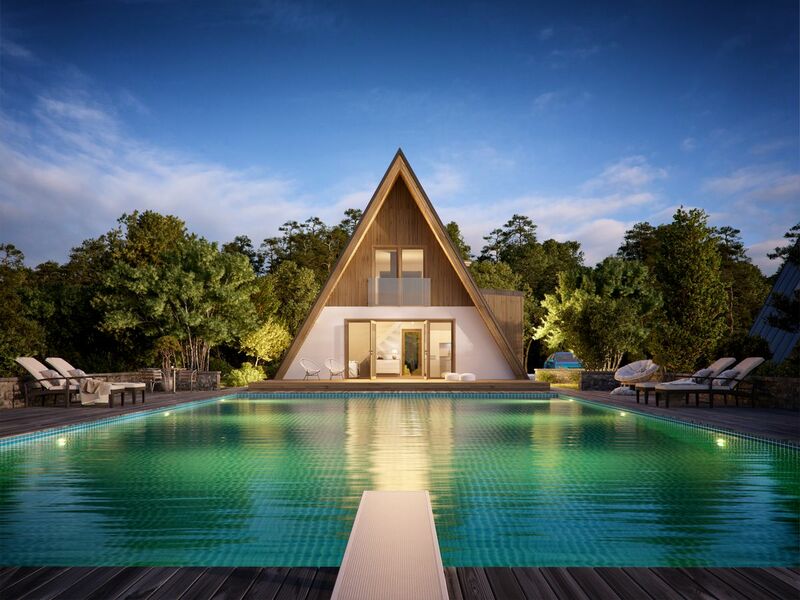 Affordable A-frame house can be built by just two people - Stephen P. Wald Real Estate Associates Inc.
We’ve seen more A-frames as vacation rentals, tiny A-frame cabins that cost just $700 to build, and even a flatpack version that sets up in six hours. 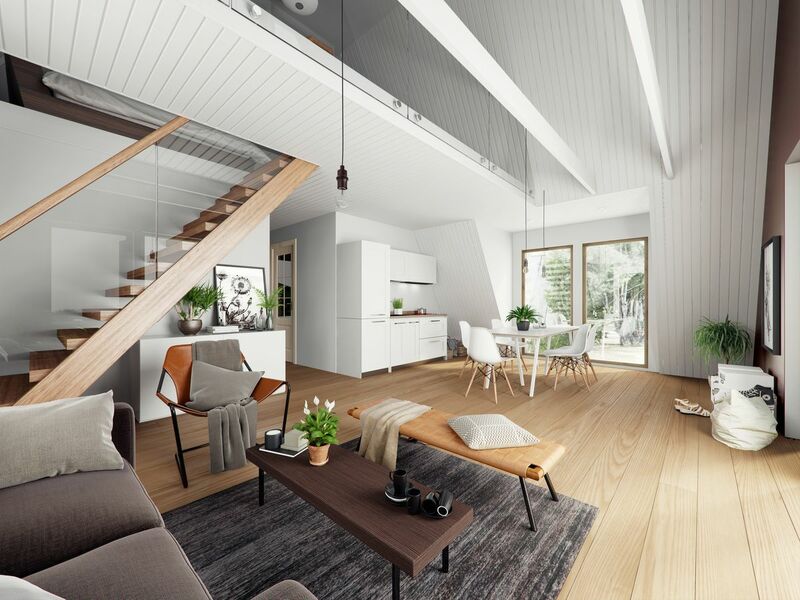 The latest to catch our eye are kit homes from Estonia-based Avrame. 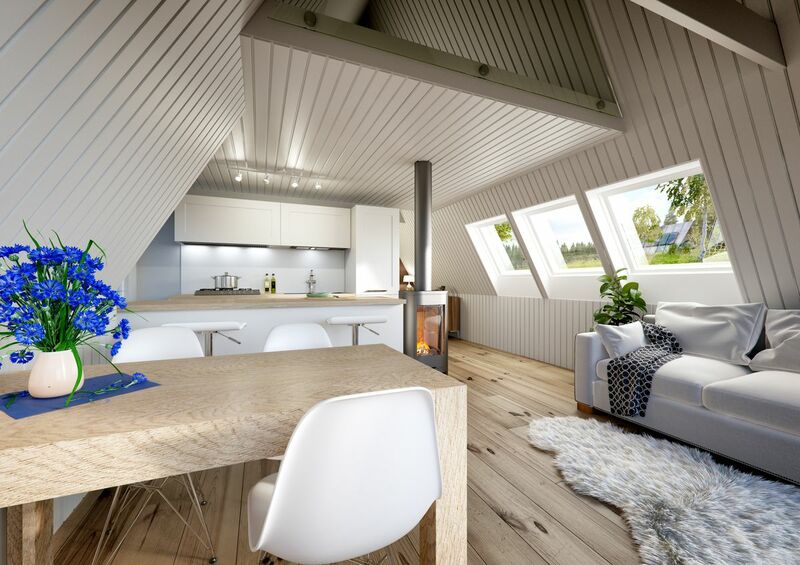 Indrek Kuldkepp, founder and owner of Avrame, first designed his own A-frame as a comfortable, efficient, and affordable home that could be built quickly and easily. After Kuldkepp realized that his A-frame cost about half as much as other homes to build, he decided to start a business selling self-build A-frame kits. Avrame now sells 11 different models of A-frames, from tiny backyard sheds to larger versions that can comfortably fit a family. 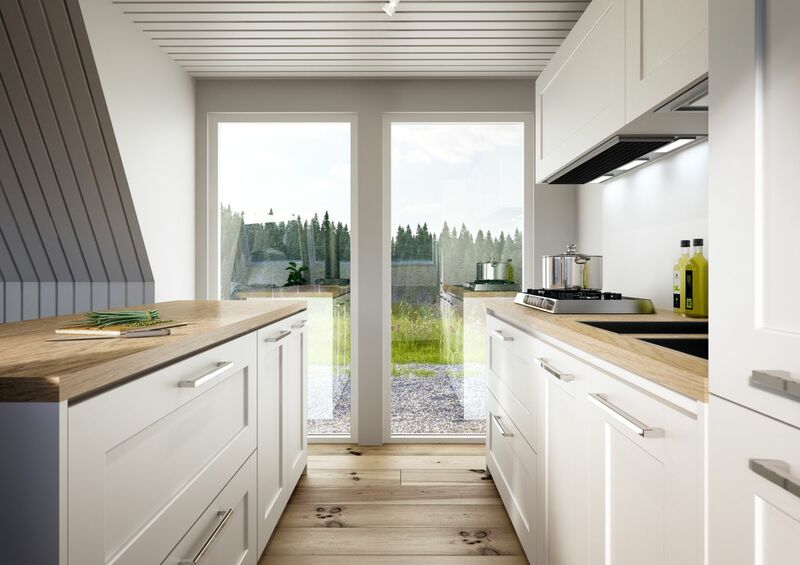 All the models feature full-length windows to provide natural light The Duo 100, for example, is on the smaller size at about 613 square feet, with one bedroom and one bathroom on the main level and a sleeping loft up above. The largest model, the Trio 120, has 1,300 square feet of living space with three bedrooms and two bathrooms. When you buy an Avrame, the kit includes timber, the roof, the floor structure, windows and doors, building accessories, and a full set of drawings for building the structure. Avrame doesn’t provide the building foundation or the interior finishings, but they do say that two people with reasonable skills can build the kits themselves. The entire process—from choosing a kit to moving in—usually takes four to eight months. Avrame says their homes are more efficient and maintain heat better than traditional A-frames thanks to durable structural insulated panels. You can also add onto to any model by making the A-frame longer. Prices range according to the size of the A-frame, with the largest model—the Trio 120—costing about $35,000. Since we first reported on Avrame, a US outpost has set up shop in Salt Lake City, Utah, with a new US-specific website here. Designed to pass the most common building code requirements in the U.S., Avrame USA works with each client to determine local requirements and makes adjustments as needed. The good news, however, is that this means that Avrame kits are now available in all 50 states. Head over here for more. The interior of the Duo model by Avrame, one of the mid-size kit homes. 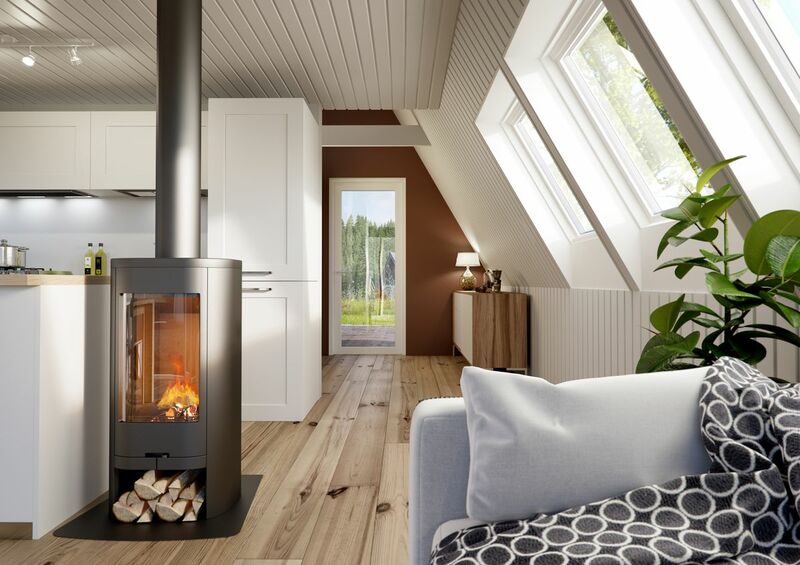 All of the kit homes can accommodate wood burning or gas fireplaces. The small kitchen area of the Duo feels airy thanks to floor-to-ceiling windows. The exterior of the Trio model. The interior of the Trio, one of the larger models. 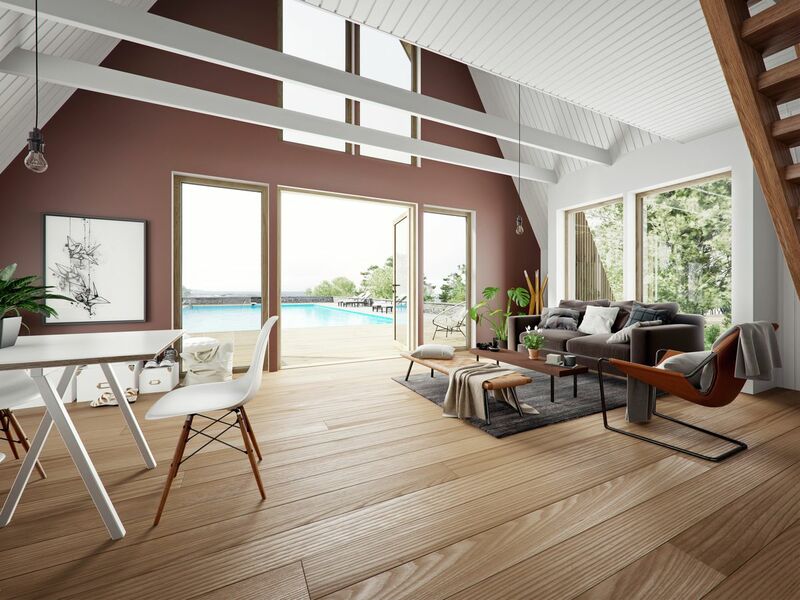 Large windows bring the outdoors in with the Trio model.